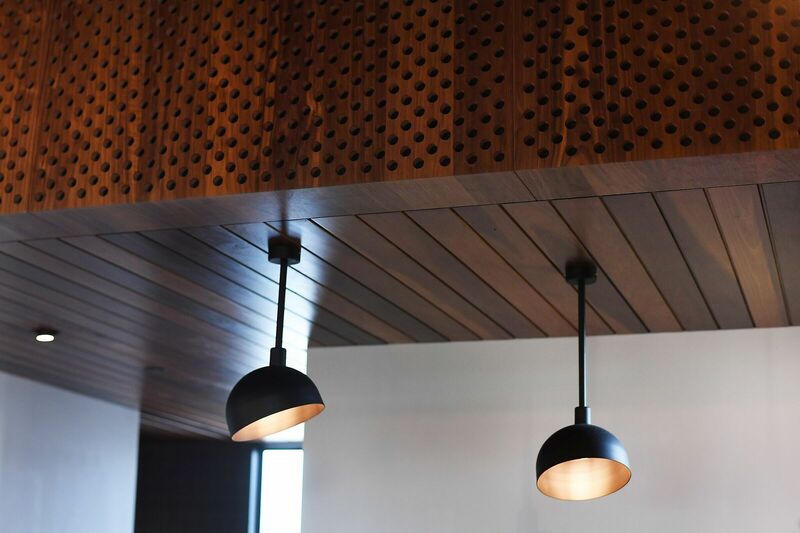 The Hungry Fox cafe in Essendon Fields, Melbourne, is Australia’s first structure to utilise an innovative new thermally modified American tulipwood. The thermally modified American tulipwood is pre-heated to temperatures nearing its combustion point, which changes the molecular structure of the timber. 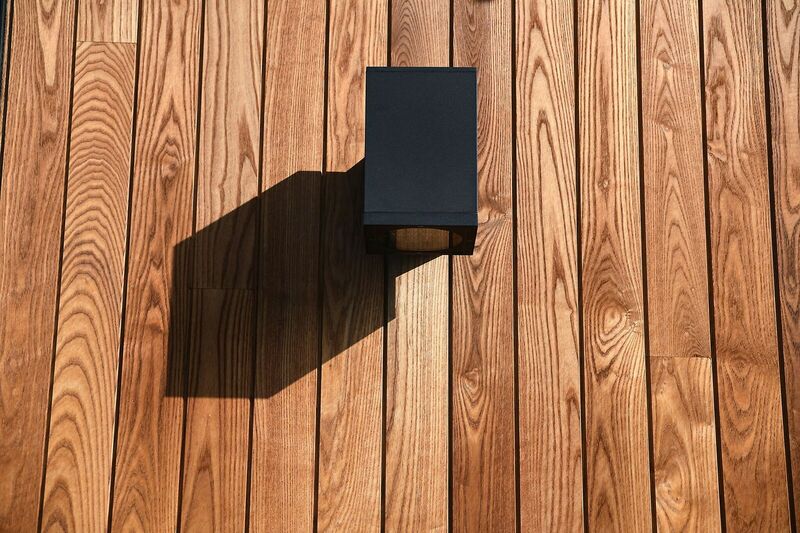 The result is a timber product that is chemically optimised for outdoor use with increased dimensional stability and durability. The thermally modified tulipwood requires very little maintenance once treated, making it a very appealing choice for Bruce Anderson Architects on this project. Tulipwood has a rich hue, and consistent texture and grain, making it an aesthetically beautiful choice as well as practical. 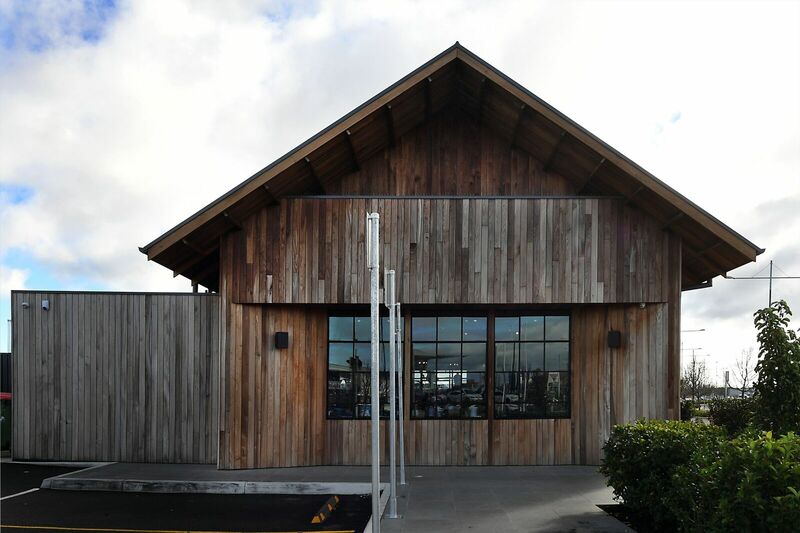 The welcoming tone of the timber exterior, coupled with the gabled roof, gives The Hungry Fox a barn-like presence, which warmly invites the public in. An exterior playground at the rear completes the family haven within the industrial area. 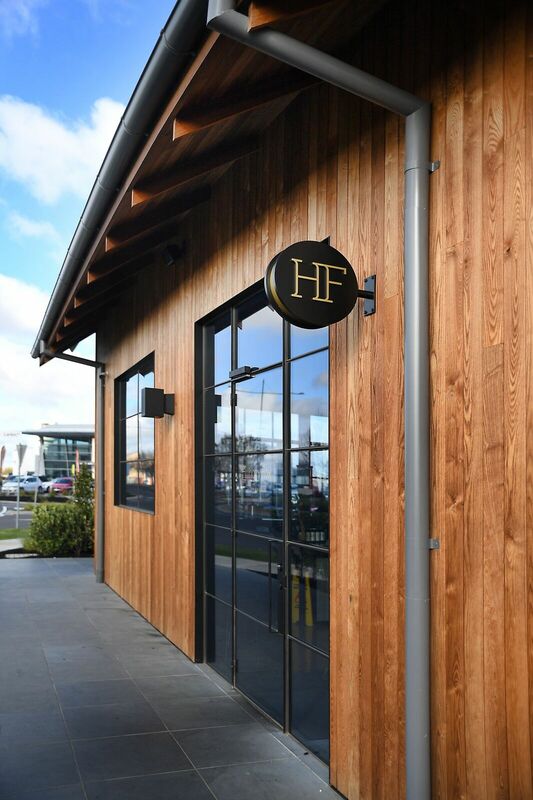 The Hungry Fox cafe in Essendon Fields, Melbourne, is Australia’s first structure to utilise an innovative new thermally modified American tulipwood. The cafe is located in Essendon Fields, Melbourne. 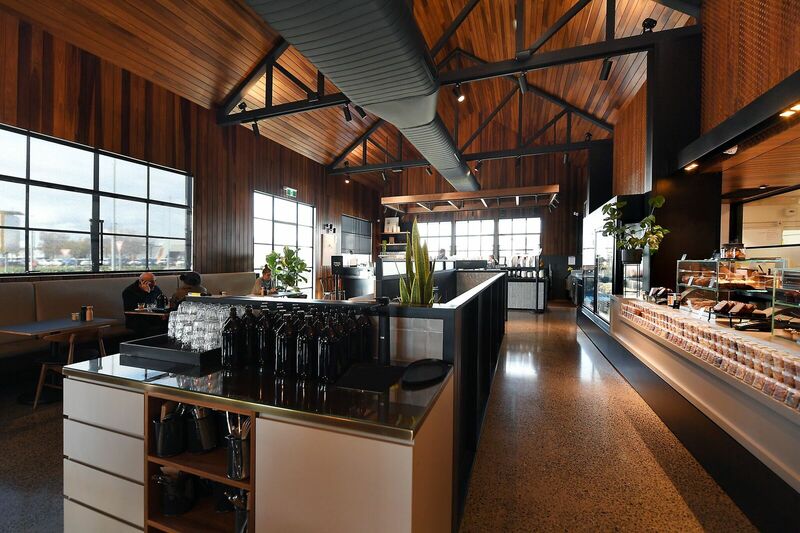 Featuring an eclectic homely menu, the cafe was designed by Bruce Henderson Architects, and has utilised an innovative take on an old material to clad the buildings exteriors. The thermal modification works in a similar way to the Japanese technique of charring their timber. It’s an ancient concept that even the Vikings were aware of, to create a pre-charred, or in this modern technique, a pre-heated protective layer to the timber. More specifically, the thermal modification process reduces the moisture content to around 4-6% and permanently alters the equilibrium moisture content, meaning the timber reacts more desirably to humidity changes. It also removes the main food sources for wood feeding organisms that can potentially destroy the timber. The extra energy expenditure during the heat treating process is compensated with the lack of chemical treatment required to the timber. 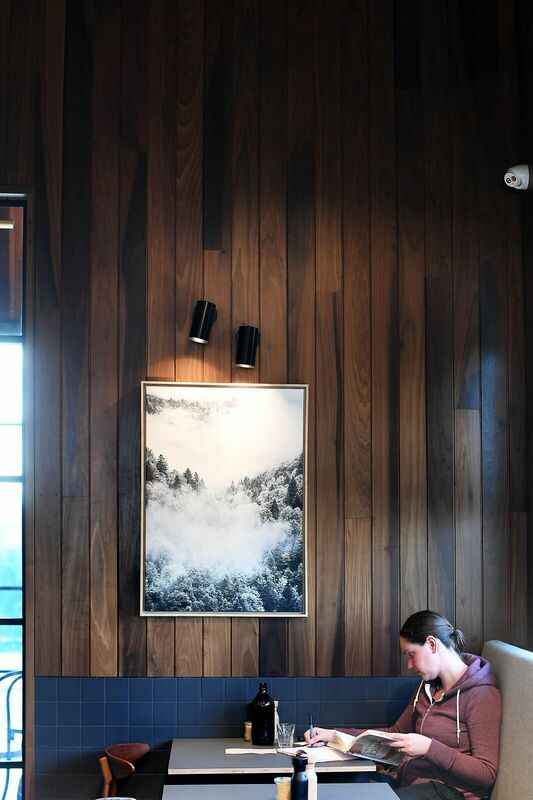 The tulipwood continues to wander through the interior of The Hungry Fox, designed by Lukas Partners Interior Architects. The use of the timbers dense brown tone was inspired by the colours of eucalyptus and gum nuts. Vaulted ceilings rise high above in the warm natural material palette, providing a raw beauty. A stone countertop and polished concrete floors add an elegant smoothness to the colour and material palette. Lukas Partners were influenced by biophilic deign principles, conjuring a mood of the natural Australian bush. Local furniture manufacturer Charles Sandford, crafted a furniture series for the cafe featuring a chunky, solid American ash table, with American ash, leather and wool seats. Perforated screens and acoustic panels continue the timber theme throughout the interior, creating a feel not dissimilar to a log cabin. Variations in colour and texture interject with the primal nature of the timber, bringing a sophistication to the homely feel. The Maitland Riverlink redevelopment has revitalised the regional NSW hub by extending its CBD along the riverfront.